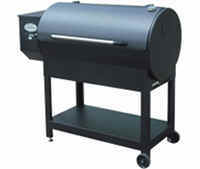 Country Smokers are made by Louisiana Grills who also make The Louisiana Grills "Colonial" range. 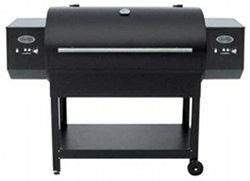 Louisiana Grills are a division of the Danson Group who produce the Pelpro range of pellet stoves and a wide range of wood pellets. 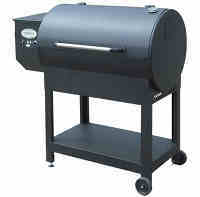 All country smoker grills have a porcelain coated cooking grid and an air cooled fuel feed system. They also have an automatic electronic igniter. 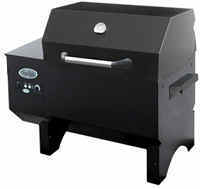 A primer button is used the give the grill heat a boost and to add smoke. Dual channel grease drains and collecting pots keep the cooking area clear of fat. Cooking area 300 sq. in. 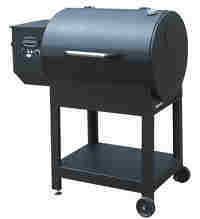 Dimensions H 23" W32.5" D 19.5"
Cooking area 570 sq. ins. Cooking area 680 sq. ins. Cooking area 1050 sq. ins. 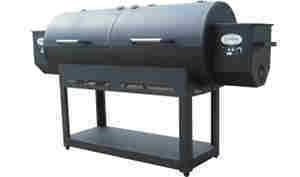 Two independently controlled burners, removable partition for large items. 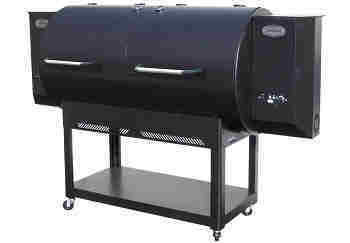 Two independently controlled burners, removable partition for large items. Large warming area. Warming Grid 467 sq. ins.